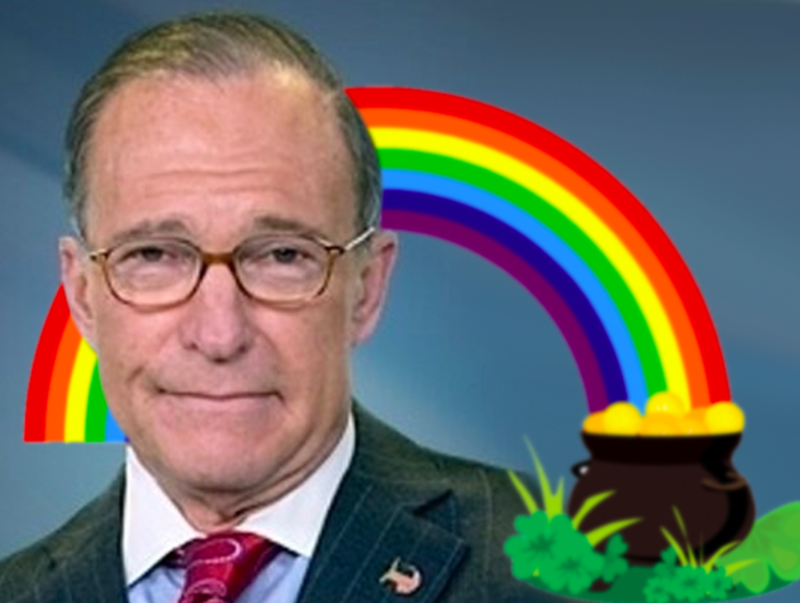 When Larry Kudlow took his talents from the Midtown Cipriani to The West Wing, we wondered how long it would take for everyone&apos;s favorite anthropomorphized Jay McInerney character to realize that his free-trading "King Dollar" thinking would be out-of-sync in a White House run by a fake nationalist with no real understanding of monetary policy. 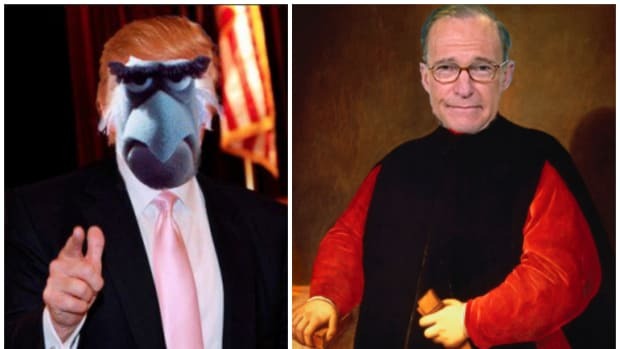 So far, Larry has hung on to his spot in Trump&apos;s inner circle but his fingers must be sore what with the Trump administration behaving with the intellectual consistency of a tween smoking synthetic marijuana every time a trade deal gets mentioned, and also having to deal at all times with the reality of Peter Navarro existing despite basic human logic. Kuddles&apos; government gig is not going the way we thought it would, but it&apos;s definitely not going the way he thought it would either. 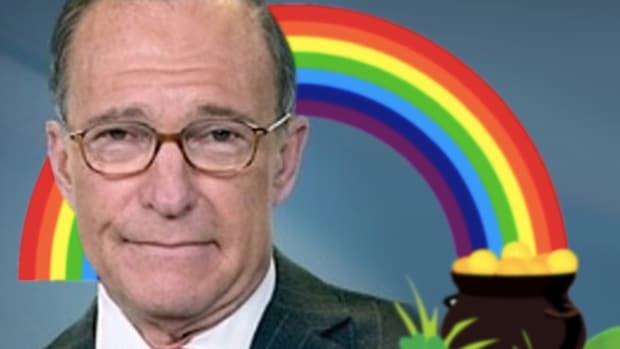 Kudlow, who replaced Gary Cohn as director of the National Economic Council, has tried to temper some of Trump’s nationalistic impulses on trade — arguing against tariffs in meetings, for instance, according to administration officials. But on other issues he is very much in sync with Trump, they said. 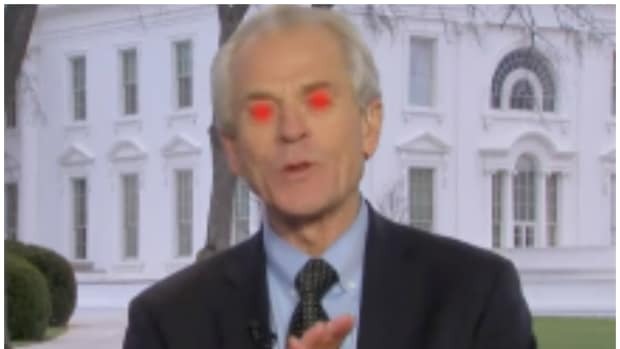 If you had told us back in March that Larry was going to spend his days having his bad economic advice ignored by fringe loons like Stephen Miller, we would have sighed and said "Yeah, that reads," but if you had told us that Larry was doomed to wander the halls preaching even more objectively incorrect fashion tips to White House staffers who just moved out of the Young Republican dorm at their respective SEC college, we would have shed an actual tear...and then giggled a little. Also, you DEFINITELY should wear brown shoes with blue suits.